I am the head of our Corporate and Commercial team and advise on mergers and acquisitions, commercial contracts, shareholder arrangements and partnership law. I enjoy identifying and achieving the right solutions and outcomes for clients and strongly believe that good service consists of responsive communication. I look for long lasting solutions that reduce complexity, delay and risk. I trained and qualified at Clifford Chance and spent the first eight years of my career working on a broad range of finance, company and commercial matters in the City. I believe that the best corporate lawyers are likely to have a broad range of experience of business and life. I have a particular expertise in advising schools on mergers and in relation to their commercial contracts and other commercial issues. I am the chair of the governing body at a very successful prep school in West Sussex. I have served as a member of the Law Society’s Company Law Committee and regularly contribute to the Solicitors’ Journal, for which I write a quarterly update on commercial contract law. 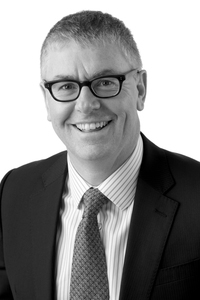 "Mark Lucas has a strong focus on the education sector and advises on the full suite of transactional activity. He is praised by clients for his excellent interpersonal skills"
"The 'very impressive' Mark Lucas is head of the corporate team. Clients appreciate his ability to 'see a way through things in a way which is very helpful'."